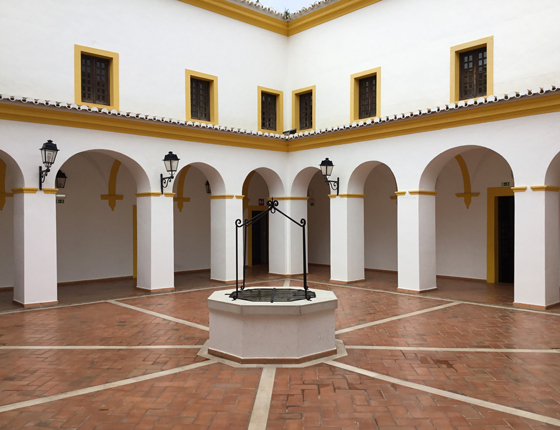 The meeting took place at the beautiful Convento de San José. 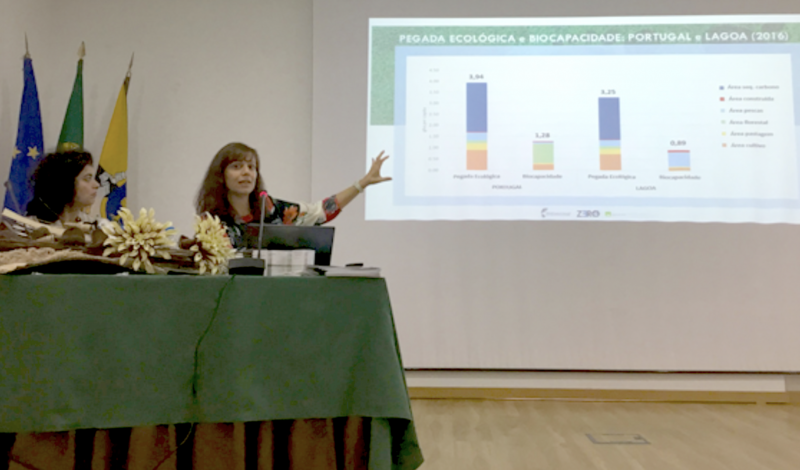 On October 27, Alessandro Galli, Global Footprint Network director of the Mediterranean program, was in Lagoa, Portugal, as the city publicly released the findings of its first-ever Ecological Footprint report. 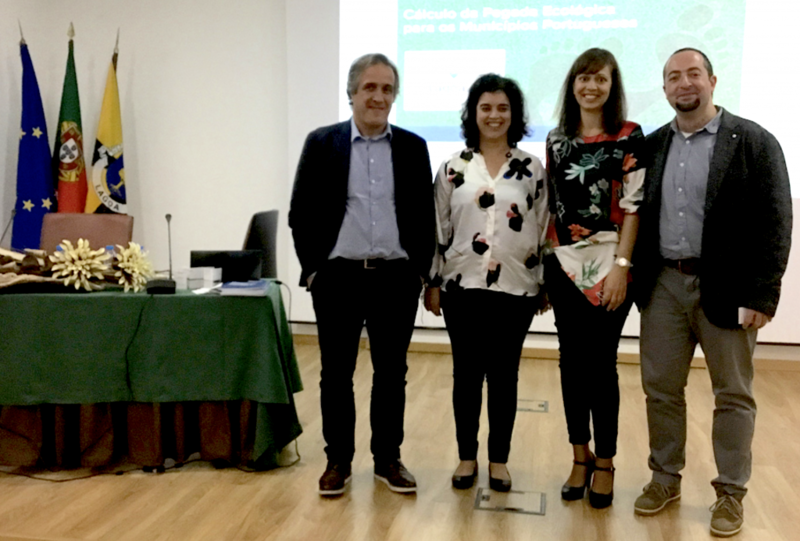 The public event was part of the six-day road tour of the Ecological Footprint of the Portuguese Municipalities Project with local partners ZERO—Sustainable Terrestrial System Association and the University of Aveiro. Ana Cristina Tiago Martins, Councillor of the municipality of Lagoa for Education, Culture, Youth and Administrative Modernization, kicked off the meeting. She was followed by Paulo Magalhães, city Footprinting project coordinator at ZERO, who talked about the overall scope and phases of the innovative city Footprinting project in Portugal. Alessandro Galli presented the Ecological Footprint metrics for the world and Mediterranean region and the importance of analyzing cities. Ecological Footprint of Lagoa : 3.25 global hectares (gha) per person, 17% below the national average. Food represents the largest share of the Ecological Footprint of the municipality (27%) followed by the transport sector (19%). Lagoa’s biocapacity: 0.89 global hectares (gha) per person, 30% lower than the national average. An enthusiastic discussion with attendees from civil society and local media outlets ensued. Questions from the audience included investing in the local fish sector, retrofitting existing urban development and designing sustainable new cities where public transport, biking, green energy, etc. would be incentivized. A question on Footprinting methodology led to a discussion on the data needs for sustainability analyses—we need physical data. Finally, attendees commented on the importance of the project and need for education. For the complete list of public events on the six-day road tour of the Ecological Footprint of the Portuguese Municipalities Project, please click here. Pictured from left to right are Paulo Magalhães (ZERO), Ana Cristina Tiago Martins (Municipality of Lagoa), Sara Moreno Pires (University of Aveiro), and Alessandro Galli (Global Footprint Network).